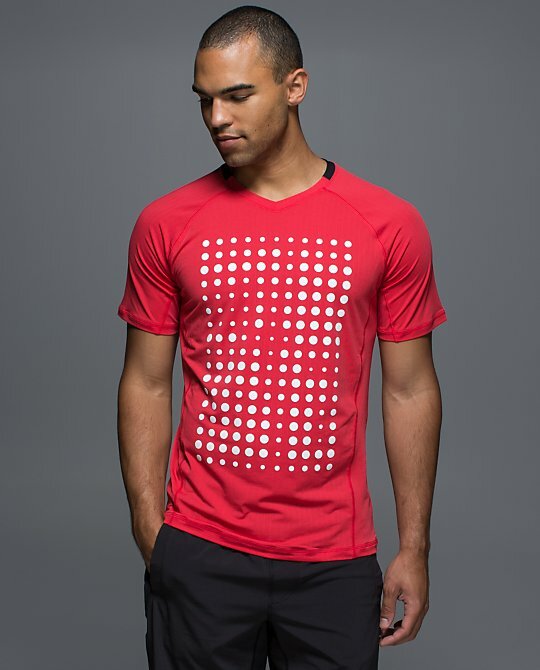 From the Australian/Hong Kong lululemon sites - new black Shine Dot Power Y Tank. Photos of the new Radiant LS top in Angel Wing. It's also coming in gray and black. It's made of Vitasea. 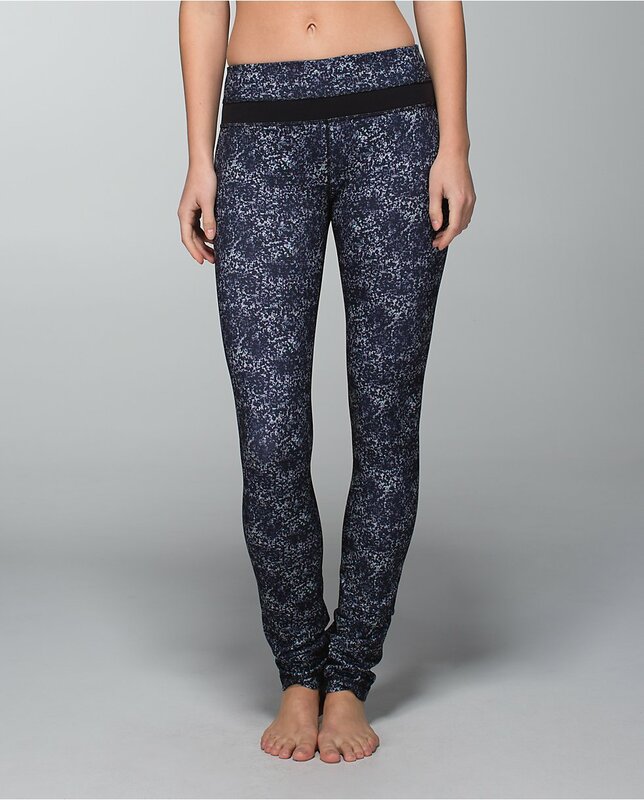 Skinny Groove pants in Rocky Road Gusto Blue print. The Australian website says these are made of full on luon but they've gotten the description wrong before. I tend to think these are made of full on luxtreme, like the Roll Down Wunder Under Pant version. The Australia lululemon site got some 2014 Sea Wheeze pattern/color items in the men's stuff. These are Pace Breakers in Which Way Sway Black White and a Focus V shirt in Rad Red. What is the thing on the Australian website now that I can not click on the pictures? The message comes up saying " access denied". Is this a new lulu thing again? This company is so creative. The black dot Power Y is already in some US stores (at least, it is in mine, in the PNW). Of course LLL continues the trend of sending Seawheeze designs to Australia. Staying true to their word of keeping Seawheeze stuff "exclusive to North America"...! @ anon 7:28 am - The access denied started happening to me, too, late last week. I hope it's a glitch. I don't see the point in blocking us from looking at the items in other countries. @MB - Usually the Sea Wheeze designs that are sold in Australia have the regular lululemon logo and not the special Sea Wheeze ones. I know one woman at Sea Wheeze expo bought a Downtime Jacket with the regular logo on it so somehow an Australian item got mixed in the with the SW ones. @LLA--yes, thank you, I remember that was the case last year, too. That makes it a bit better, for sure. Interesting about that mix up with the Downtime Jacket. It was already loaded when I posted that at about 6:00 am yesterday morning. Not sure what that converts to in Aussie time.